Styled with zaraha knit top . Twirling encouraged. This is a high-rise midi skirt with permanent sunburst pleats that keep their shape. It's made with Yoryu, a classic drapey fabric for the making of kimonos. 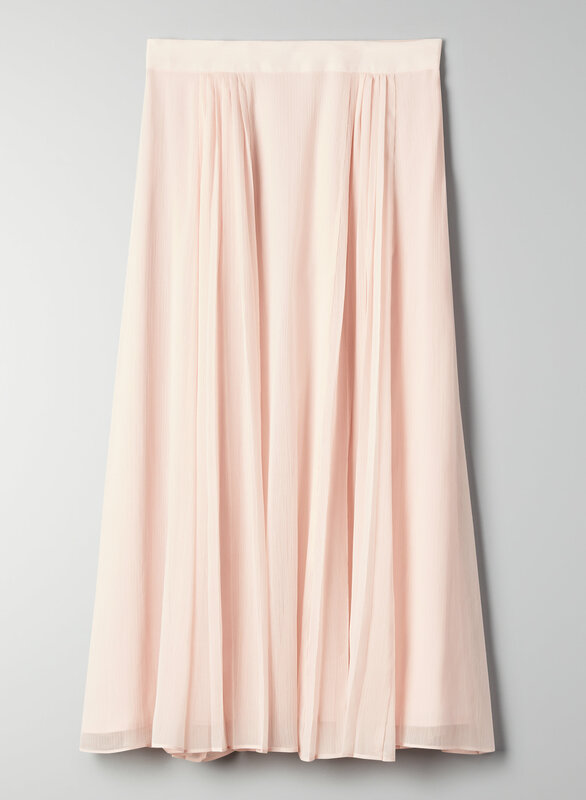 I fell in love with this skirt online and ordered it for my Bridal Shower. I wear a size 2 in all Aritzia pants, and am a small in dresses and tops but I saw the model was wearing a size 4, so ordered a 4 to be safe. It arrived very quickly, and when I tried it on I was VERY was disappointed as it was EXTREMELY tight. Uncomfortably tight, so I ended up exchanging it in store for a size up and it fits perfectly.